IBM has developed and measured an operational prototype of a 50 quantum bit (qubit) quantum computer, the first universal quantum computer to reach this scale. The American technology giant has also developed a 20 qubit system that will be available through IBM Cloud’s Q early-access program. 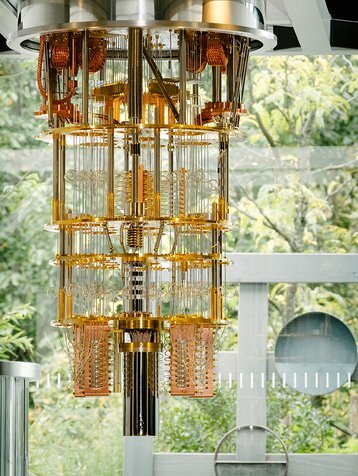 In addition to increasing the processing performance of its cloud-based quantum computer from 16 qubits to 20, IBM has also improved the system’s coherence time - that is, the amount of time it exists in a quantum state and can perform quantum computations - to 90 microseconds. The company said it took six months for its team to double the coherence time for the 20 qubit machine over that of the 5 and 16 qubit systems already available on IBM Q. The 50 qubit system has “similar performance metrics,” IBM said. “We are really proud of this; it’s a big frickin’ deal,” Dario Gil, director of AI and quantum computing at IBM, told MIT Technology Review. 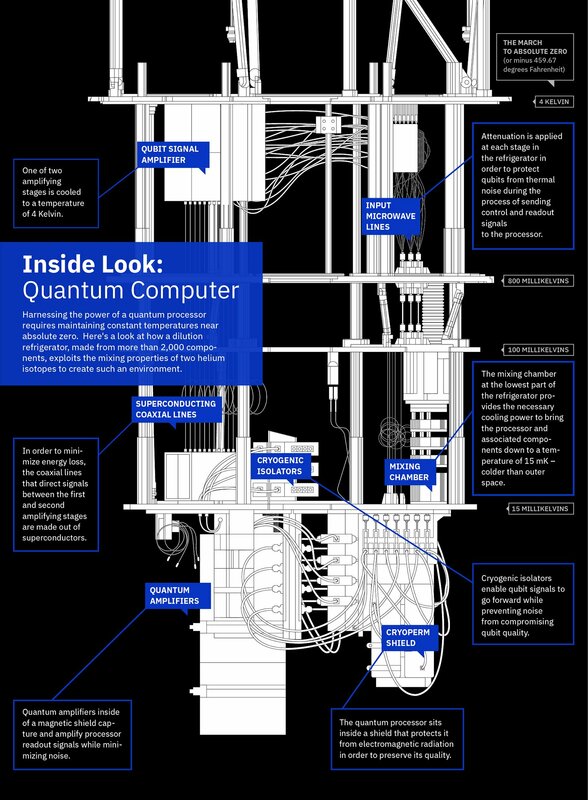 Rather than operating with bits that are in the state of 0 or 1, like classical computers, IBM’s circuit model quantum computer has trapped qubits that can appear in both states at once (known as superposition), theoretically allowing for significantly more computing power - for the right applications. IBM plans to enhance the systems over the next year, improving the quality of qubits, circuit connectivity, and reducing operation error rates. So far, over 60,000 users have run over 1.7 million quantum experiments using IBM Q, generating more than 35 third-party research publications. With Q, the company remains one of the leaders in the fledgling quantum computing field, but it faces stiff competition from the likes of Google, Microsoft, Intel and San Francisco startup Rigetti. Earlier this month, Google announced that its quantum computer would be used by auto-maker Volkswagen, with rumors swirling that the company plans to launch a 50 qubit system before the end of the year.